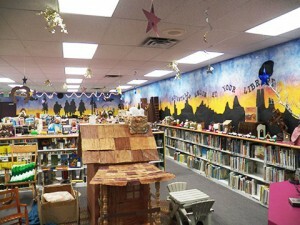 The Children’s room at the Ruidoso Public Library. This afternoon, I’m picking up my younger daughter from school and I’m taking her someplace special. It’s a place she and I can look at works by local artists, where we can read quietly together, where we almost always run into friends. It’s one of best places in the world. You’ve probably got something like it where you live too. Why libraries deserve to be hip – Salon.com.